Last week, Wall Street Journal Reporter Sumath Reddy in her article “Skip Your Annual Check-up?” shared both sides of the controversy over the annual physical. Many, particularly the insurance companies, feel that an every-other-year or every third-year check-up is sufficient. I, on the other hand, believe that the annual should remain a yearly ritual. Louis Sinclair, featured in the article, is the perfect example. 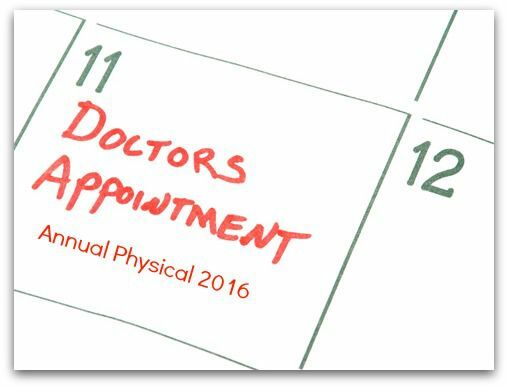 He schedules an annual visit with his primary physician at the same time each year. His doctor diagnosed him with atrial fibrillation which led to a test which picked up a tumor on his lung. The price of the copay and the amount the insurance company reimbursed for the annual visit turned out to be a lifesaver, medically and financially. Bottom line is many chronic diseases are asymptomatic. Melanoma, high blood pressure and thyroid issues might avoid detection until out of control. Also lifestyle issues such as weight, exercise and sun protection are an integral part of your healthcare maintenance visit. There are many other reasons to stick to the annual. It’s important to know your doctor before you get sick. A physician who knows a patient well can detect health problems that another physician may overlook. An annual visit allows the physician to document a baseline. It also helps establish a relationship, so when you do get sick, the office will be more apt to accommodate you. Is there a price you would place on an ounce of prevention?